Style Theory: Geox shoes comfy, breathable and perhaps reserved for the older lady..or so I thought until I set eyes on the AW15 collection at a fashion show. I was literally stopped in my tracks when browsing around the fashion stands by the fabulous Patrick Cox for Geox trainer for AW15 (not available as yet) It was all bells and whistles but I absolutely loved it! 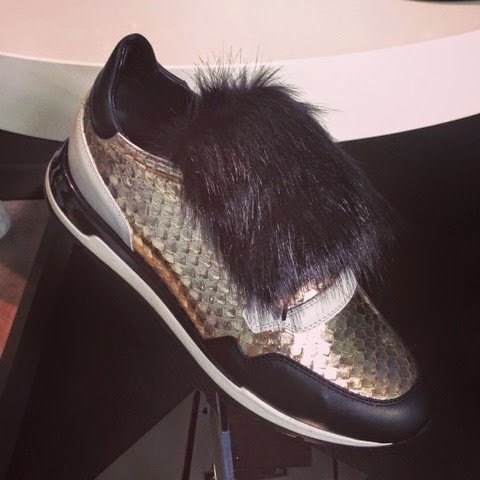 It made me take a closer look at the Geox collection for this season and I was impressed. As I spend most of my life in trainers and am completely untrained in the art of walking in heels, I need heels that look good, are comfortable and have decent soles on them, therefore avoiding that awkward moment when I skid metres across a room on the edge of my heel (I have been known to do this fairly regularly) And GEOX heels tick all these boxes. True statement sandals with a comfortable footbed (always GEOX breathable techonlogy so non-sweaty) and a platform at the front taking the height off the heel. I have these shoes on order and I will style them similarly to the photo below for evenings out, I also have a wedding this summer and they will be perfect to wear all day..
Loving the idea of wearing heels with my black dungarees making the dungerees look slightly more grown up. Perfect for working this season's 70s trend in comfort, this nubuck platform sandal will look fab with denim flares, or wear with a denim dress, or skinny jeans and a boho top. As always Kate Moss styled flares perfectly a few years ago. I love the paler colour of flares and the shoes above would look fab with this colour of denim and a matching belt and keep the top simple, even a grey sweater would look fab. Beautiful, delicate and sophisticated these shoes are the perfect height and a beautiful neutral colour (also comes in black and white) Wear them with a floaty white dress in the summer, or wear with with skinny ankle length blue jeans and a blue chambray/denim shirt for a cool twist. 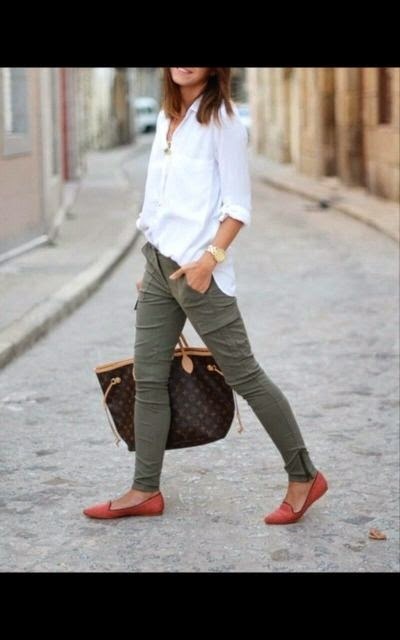 For those days when you are out sans les enfants, you can rock a chic, elegant look! A fabulous wardrobe basic, the black court shoe. It goes without saying this can be worn year after year with all styles of clothing and perfect for work. Wear with black opaque tights and dresses in the winter, in the summer wear with black skinny ankle length jeans and a black top with a leopard print bag for a sleek look. I love everything about this look and now am slightly obsessed with the bag too, all looks so fabulous and cool in an elegant way. Cool, metallic, slip ons in gold and silver made of the softest leather with waterproof soles..everything my past synthetic slip ons have not been! 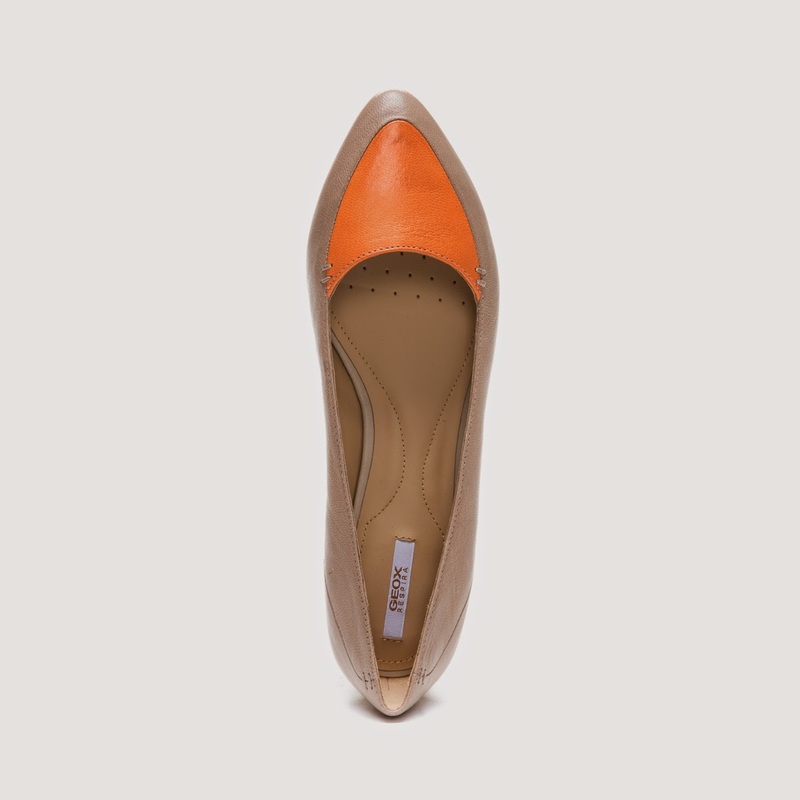 These are now a classic and will work so well as a casual shoe through the summer and into the Autumn. These are breathable so again, non-sweaty which is fab for a closed-in trainer like this as they do tend to make your feet hot. These would look chic on when you are off to the airport for your summer holidays! This would make a perfect outfit with a pair of silver slip ons, add a touch of colour with bright bag. 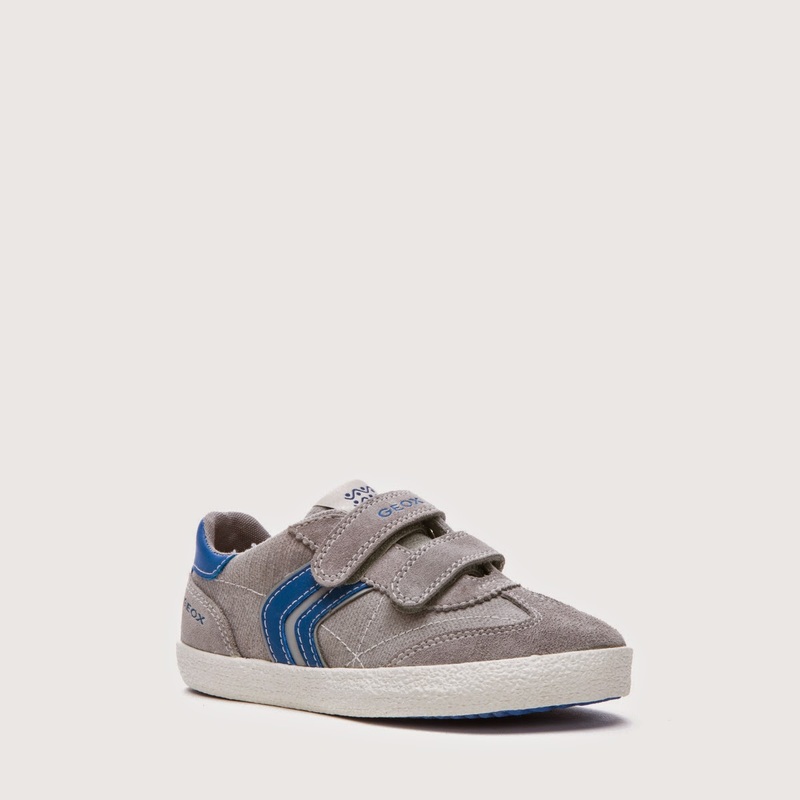 There also have a lovely kids range that you are probably more familiar with, I saw a cute pair of boy's leather slip on shoes in store (very Scott Disick for anyone that watches Keeping Up with the Kardashians - yes I am sad and do watch it) but I cannot find them online. 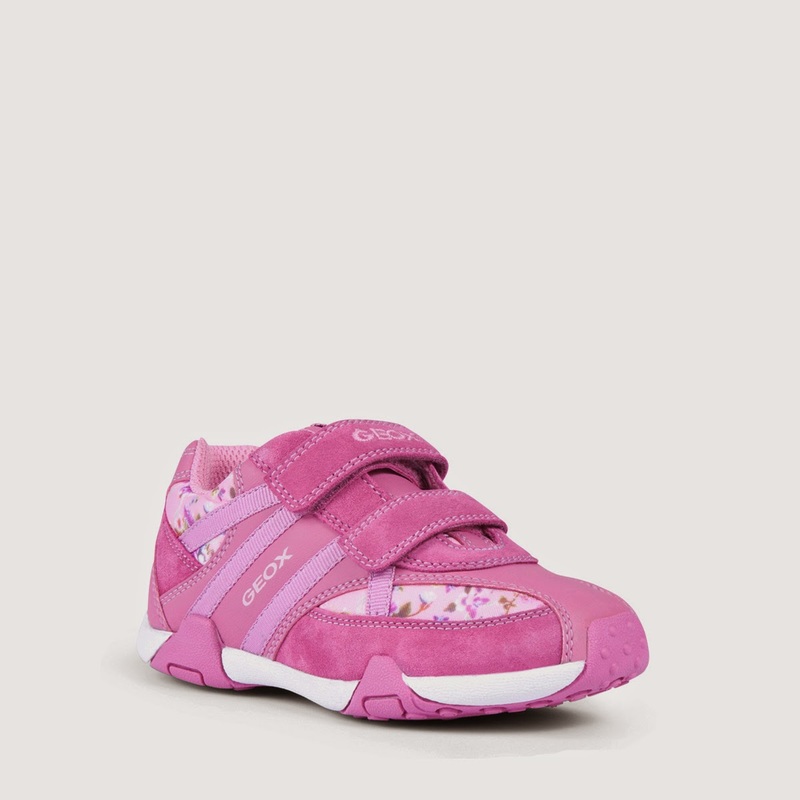 Here's my fave little trainers online, definitely pricey but I always end up buying my kids clarks trainers as they fit them better so these are about the same price..
For my little girl who loves trainers and whose first pair were GEOX, I love these..
For my 4 year old boy, these would be a fab pair of vans style trainers that won't make his feet too hot..
Hope to see you on Wednesday (if you are in the London area) As always I would love to hear your thoughts and comments, what do you think of the selection, any of them catch your eye? This post was written in collaboration with GEOX but all views and opinions are entirely my own. This is too good,.i really like this,.Thanks for sharing with us,.
" custom hand designed shoes"
Pre-loved Designer Heaven...take a closer look..